And I bagged this for a couple bucks. This is a Humphrey Products QE-3 quick exhaust valve. 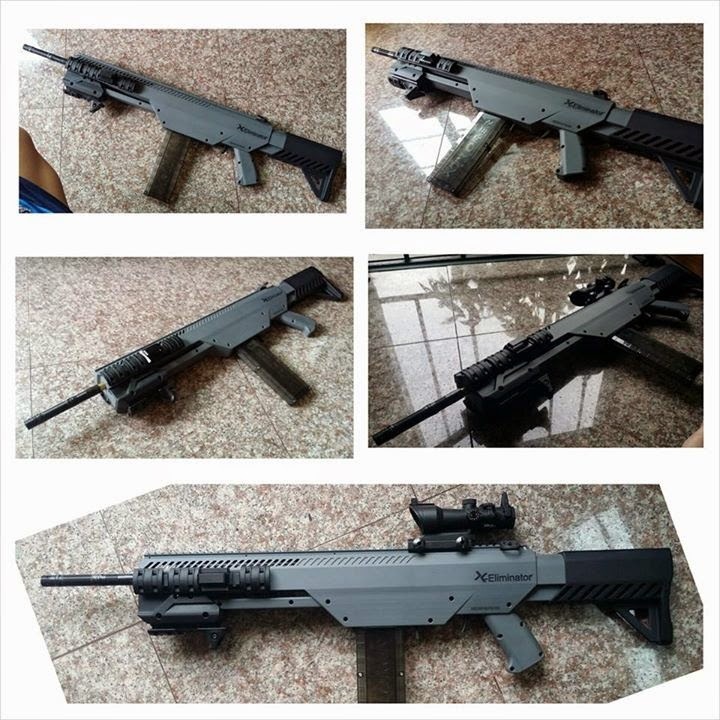 If you have never heard of QEVs, they are industrial hardware, used mainly in pneumatic automation, but they are functionally equivalent to piloted firing valves used in some types of airguns and quite useful for this purpose. You may know variants of this family as piston valves, diaphragm valves, modded sprinkler valves, or "backpressure valves" (a NICism). QEVs are a useful bit of kit, being compact, ready-made and higher-spec than most hobbyist DIY valves and stuff gutted from nerf airguns, which is just the direction I was thinking of going in experimentation. Strange that I randomly find one now. Yeah, that's not right. I bought a gutless valve. Apparently, someone used this valve body as a pipe elbow at some point in the past, then surplused it. Well, the castings are good and it's not Chinese junk. About 8 bucks to rebuild with new parts and then it will be solid. Gonna do that later. This is an expansion on, and a preemption of an anticipated response to, this post, in which a certain modification style involving stock or thin replacement wiring and TrustFires or equivalents in battery trays was analyzed and found to be grossly inadequate relative to the use of battery packs and thick wire. "But wait," one might say, "why can't I compensate for the underwhelming performance of my favorite ***Fire brand by using more of them? Won't massive overvoltage overwhelm that pesky resistance?" Yes, but this creates other problems. Simply put, any system which compensates for excessive resistance using excessive voltage will deliver excessive power to your motors when they need it the least, and/or underperform when they need it the most. The nature of the problem is straightforward. Spinning motors act as generators which produce an electromotive force which opposes the current which drives them (a.k.a. back EMF), which is a linear function of the motor's speed. A still motor generates no back EMF, and a free running motor generates back EMF which almost cancels the applied voltage ("almost" because a small amount of current is needed to overcome friction). This causes the current drawn by the motor to vary with speed - which is good. During transient conditions (winding up, flinging a dart, and recovery - or winding up and compressing a spring), the motor moves at less than it's maximum speed, and high current is desired for torque. While free-running, less current is desired, to minimize motor wear. At constant voltage, motors naturally draw the current that we want them to. Convenient, right? This only works if the back EMF is large compared to the resistance. If the resistance is large, the resistance dominates the current regulation, and the current will consequently vary much less. This presents the Morton's fork of choosing a high voltage (and thus current) which will damage the motors (and/or cause other problems) or a low voltage (and thus current) which will harm performance under transient conditions. Due to the contribution made to muzzle velocity by flywheel inertia, the reduction in performance of high-resistance high-voltage setups is the most severe when the ROF is high. So, someone who throws TrustFires in a Stryfe may have deceptively adequate muzzle velocity so long as their ROF is low when they test their system, but this will falter when they fire several darts in quick succession, as one often does during a game to secure a stun. If you want a more rigorous argument which details the magnitude of the problem, read on. This is an Xplorer XEliminator, which has picked up the NIC shorthand "Xe". A very limited production piece, with only 10 confirmed to exist, and a price tag of over $1000, US. Yeah. THAT thing. Ah yes. A classic hot-button issue, and a very divisive one. I have felt like doing a post about it for a while, but I did some recent stalking around on the interwebs, and let's just say that shots are still being fired, and the war is definitely still alive, so now is as good a time as any, I guess. In this post I really hope to clear some things up about the battery firestorm. So first, a little history for the uninitiated. 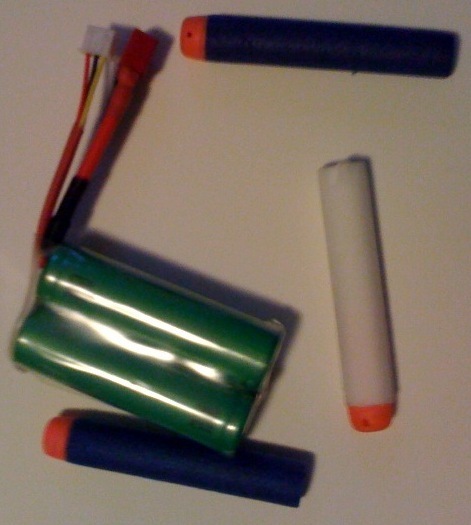 The "battery wars" primarily concern the power systems for electric Nerf guns and the efforts to improve on longstanding status quo practices, which for reasons unknown (but maybe all too familiar) have been met with tremendous resistance.